Your degree should be recognized by as widely as possible after graduating. SESMT is accredited or associated with several organizations to make your diploma as valuable as possible. Established in 1953, the Massage Therapist Association of Alberta is one of the oldest associations in the country. To be a member, you must have a diploma in massage therapy with a minimum of 2200 hours of educational training. We are one of the few approved massage therapy education programs recognized by the Massage Therapist Association of Alberta (MTAA) schools. 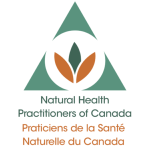 The Natural Health Practitioners of Canada has its roots in Edmonton as an In Touch Massage Club and now boasts 3600+ members nationwide in the practice of holistic health. The SESMT is an accredited provider of massage therapy education by the NHPC. The Massage Therapist Association of Saskatchewan is the leading organization furthering the interests of massage therapists in Saskatchewan. The SESMT is an accredited provider of massage therapy education by the MTAS. The Canadian Council of Massage Therapy Schools is a national body for Massage Therapy educational providers. The SESMT is a member of the CCMTS. The Remedial Massage Therapists Association (RMTA) is a not-for-profit association that has been in operation since 1977. It is one of four massage therapist associations recognized by Alberta Health and Wellness. Membership in the RMTA is recognized by insurance companies automatically. The SESMT is recognized by the RMTA. SESMT is licensed by the Private Career Colleges of Alberta, which was previously known as, and still sometimes referred to as the Private Vocational Training Branch of Alberta. 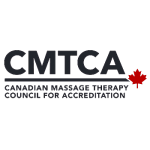 The Canadian Massage Therapy Council for Accreditation is a new national organization working to standardize the education of massage therapists across Canada, and offers an accreditation process to schools who's curriculum reflects the standards of excellence put forth by the CMTCA. SESMT is committed to such excellence in education and is excited to be working with the CMTCA on our accreditation.